Instead of taking a vacation to Senegal, I decided to get sick and be Medivac’d there. Joking…kind of. I had to take a trip to Senegal to have an MRI done because there is no MRI machine in Mali. Crazy, huh? 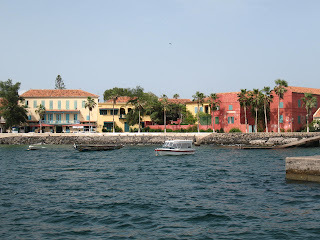 It was nice to get away from Mali for a few days and enjoy the sites and scenes of Dakar. Of course, there is the unmentionable amount of money that I spent. Oh well, who knows if I’ll get back there again, right? And I got some amazing items that will last a lifetime. 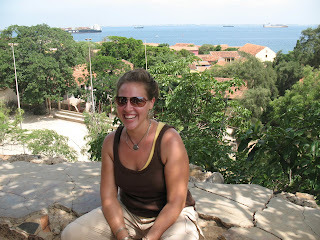 Me, on the Île de Gorée, overlooking the colorful houses and the ocean. 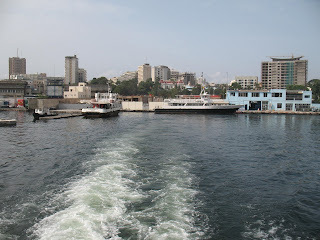 Leaving the port of Dakar to head to Île de Gorée. 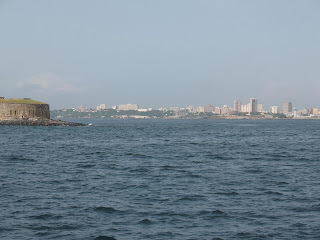 Arrival at the Île de Gorée. It's so colorful and I wasn't used to that. It gave me a real good feeling to be there. Like most places on the coast of West Africa, the Île de Gorée has slave history. 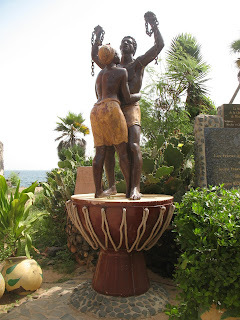 This moment was given to Senegal from the island of Guadeloupe in rememberance of the terrible history of the slave trade. 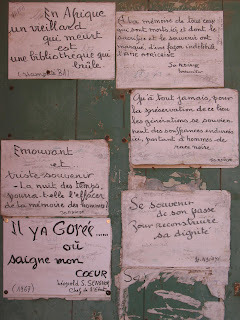 At the Maison des Esclaves (House of Slaves) there were a lot of quotes left by famous/important people and they were pretty heartfelt. 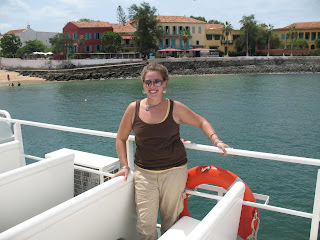 Me, on the ferry heading back to Dakar. Île de Gorée is so beautiful! 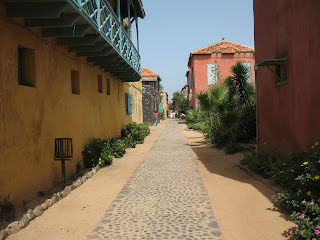 A random photo of the villa-esque streets of Île de Gorée. I could probably live there. Coming up next, I attended a basketball game between the women's national teams of Senegal and Mali while I was in Senegal. Can't wait to show you the footage. Oh, and Ramadan is going amazingly, but more on that later too! The Unveiling of my Project!